Sometimes a young team has to go through growing pains. It’s never easy, but it’s sometimes what they need. 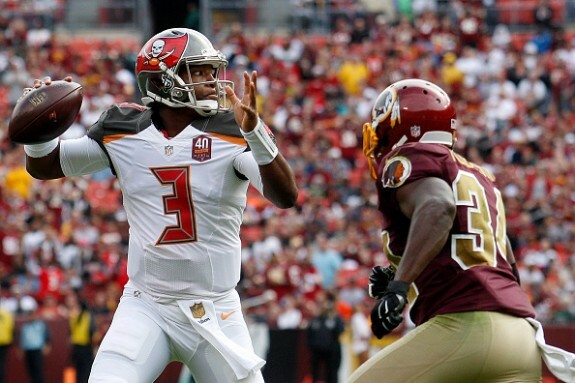 Today the Bucs learned that, as they had a 24-7 halftime lead, and led throughout till the end, but gave up a second half lead and fell to the Washington Redskins 31-30. Redskins QB Kirk Cousins threw three second-half touchdown passes, including the go-ahead score to Jordan Reed with 24 seconds left, to lead the Redskins to the win. Jameis Winston, the No. 1 overall pick in this year’s draft, was 21 for 29 for 297 yards and two first-half touchdowns that helped Tampa Bay (2-4) build a 24-0 lead in the second quarter. Doug Martin ran for 136 yards on 19 carries. It was all going the Bucs way, they had things totally in control until the Redskins and Cousins got their offense going and couldn’t be stopped. Cousins hadn’t completed more than one TD pass in any game all season, but he got a pair of 3-yard scores in the third quarter, sandwiched around an onside kick, to make things interesting. Then, trailing 30-24, Washington got the ball at its 20 with a little less than 2 1/2 minutes left in the fourth quarter. Cousins threw on every play, going 9 for 11 for 75 yards, capped by the 6-yard toss to Reed. Even in defeat the Bucs did have some good things, like the re-appearance of wide out Mike Evans. 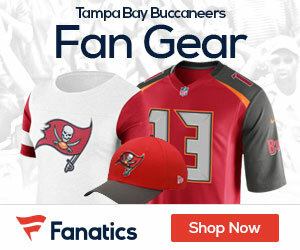 The second-year wide out caught a 40-yard TD pass on Tampa Bay’s third play from scrimmage. Division III Heidelberg University’s Donteea Dye had a 17-yard scoring reception from Winston, and Division II Shepherd University’s Howard Jones returned a fumble by Cousins 43 yards for a TD. The loss for the Bucs puts them at 2-4 on the season. It’s one they should have had, and it will hurt as this young team continues to try to grow into a winner.